Attire is business casual. Do to the professional nature of this program admittance is limited to professional attendees. In recent years the AAOP has been a leader in developing the interest of sleep as it relates to head, neck and facial pain and the outreach of this interest is well beyond orofacial pain dentists, as many neurologists, headache physicians and other assorted pain medicine practitioners now understand the importance of sleep management in pain patients. With that said, in many respects, the November conference will be very unique, dedicating a day and a half solely to the topics of sleep and pain and it could very well be the first of its kind, at least for head and face pain practitioners. A bit of history regarding the development of this conference; the first four AAOP Sleep Medicine Mid-Year Meetings had an article review format of which there were generally 6 articles presented and then an open format discussion with the attendees was held after each article presentation. Each of these meetings was held in November at the Chicago O’Hare Hilton Hotel and only AAOP members were allowed to attend. However, this year the AAOP Council decided to have a more traditional meeting format as the topic of sleep and pain has become more popular in recent years with OFP clinicians and other pain medicine providers. As such, this years’ conference will be open to any and all healthcare professionals desiring to learn more about sleep and pain. It is also well known that sleep is a controlled drive that aids in preserving homeostasis and enhances function across numerous physiologic systems. Both sleep and pain are needed for survival and good sleep is needed for good health and bodily repair. Chronic deficiencies of pain or sleep regulation can produce negative impacts on health and the sense of well-being. Some estimation of sleep complaints are said to be present in 67-88% of chronic pain disorders and at least 50% of individuals with insomnia—the most commonly diagnosed disorder of sleep impairment of those persons who suffer from chronic pain. Other sleep disorders, such as sleep apnea, can also perpetuate chronic pain. The presenters for this inaugural AAOP Mid-Year Sleep and Pain Conference are known leaders in the disciplines of sleep, pain and imaging. 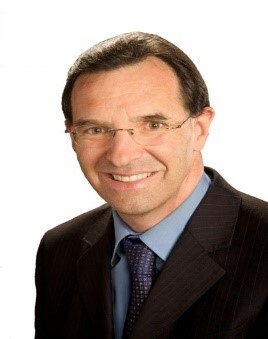 Dr. Gilles Lavigne, will present on sleep mechanisms, sleep pathophysiology and bruxism. Dr. David Gozal will present on the modulation of pain during sleep and the impact of sleep fragmentation on pain related thresholds. An update on sleep apnea, from the changing epidemiology of the disorder to the evidenced based approach of its diagnosis will be discussed by Dr. Safwan Badr. In recent years imaging of airway for clinical management of sleep related breathing disorders has become a popular topic. Dr. David Hatcher will discuss the use of imaging to identify selected anatomic factors associational with sleep disordered breathing. Another popular topic of interest in the last decade has been the use of cannabinoids for the management of various medical conditions. Dr. Darrell Boychuk will present on the use of cannabinoids in sleep, chronic pain and how it is being investigated for the use of other disorders such as OSA and Post-Traumatic Stress Disorder. Ladies and gentlemen the agenda has been set with top presenters in the field of Sleep and Pain and they will be lecturing on popular contemporary topics. The city is Chicago and the inaugural AAOP event will be happening on Friday November 2rd and Saturday November 3th 2018 at the O’Hare Hilton Hotel. We, the AAOP Sleep Medicine Committee, are looking forward to a great day of learning and we are also looking forward to seeing you there. 8:30 to 10:00 A.M. Diagnostic Imaging and Diagnosis of the Upper Airway Anomalies - David Hatcher, DDS, M.Sc. 10:15 to 11:30 A.M. Diagnostic Imaging and Diagnosis of the Upper Airway Anomalies - David Hatcher, DDS, M.Sc. 3. Outline a tailored management approach for patients with varying disease severity. BIOGRAPHY: Dr. Badr is a Professor and Chair, Department of Internal Medicine and the Libirio Tranchida, MD, Endowed Professor of Medicine. Wayne State University School of Medicine. A graduate of Damascus University Medical School, Dr. Badr completed a residency in Internal Medicine at Cook County Hospital in Chicago, followed by clinical and research fellowships in Pulmonary, critical care and sleep medicine at the University of Wisconsin, Madison. In addition, he received a Master of Business Administration degree from the University of Tennessee. Dr. Badr has served on multiple national and international medical societies. He has served on the Boards of Directors of the American Thoracic Society and the American Academy of Sleep Medicine (AASM). He was the president of the AASM from 2013-2014. Dr. Badr is a sleep disorders researcher and research mentor with current funding from the Department of Veterans Affairs, Department of Defense and National Institutes of Health. He has mentored numerous trainees and junior faculty members who have launched successful academic careers. Dr. Badr is a Professor and Chair, Department of Internal Medicine and the Libirio Tranchida, MD, Endowed Professor of Medicine. Wayne State University School of Medicine. Dr. Badr has served on multiple national and international medical societies. He has served on the Boards of Directors of the American Thoracic Society and the American Academy of Sleep Medicine (AASM). He was the president of the AASM from 2013-2014. Dr. Badr is a founding member of the American Board of Administrative Medicine. Dr. Badr is an internationally known sleep disorders researcher and research mentor with current funding from the Department of Veterans Affairs, Department of Defense and National Institutes of Health. He has mentored numerous trainees and junior faculty members who have launched successful academic careers. BIOGRAPHY: Dr. Gozal is currently the Herbert T. Abelson Professor at the University of Chicago, where he also holds the title of Pritzker Scholar. He received his M.D. from the Hebrew University of Jerusalem, and his MBA from Georgetown University and ESADE, completed his pediatric residency at the Haifa Medical Center in Israel, and then spent 2 years in Cameroon, West Africa, developing rural healthcare networks, for which he received the title of “Knight of the Order of Merit”. 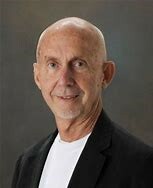 He then completed his pediatric pulmonology and sleep medicine training at Childrens Hospital Los Angeles in 1993, and joined the faculty at the University of Southern California and UCLA. 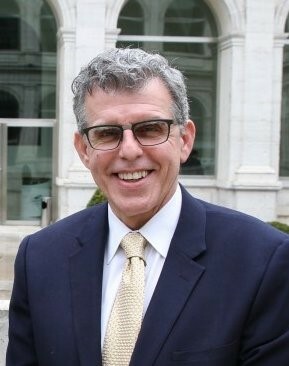 In 1994, he moved to Tulane University, and was appointed tenured Professor and Constance Kaufman Endowed Chair in Pediatric Pulmonology Research. 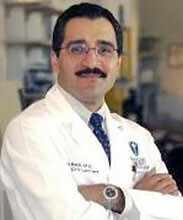 From 1999 till 2009, Dr. Gozal was at the University of Louisville as the Children’s Hospital Foundation Chair for Pediatric Research, Distinguished University Scholar, Director of the Kosair Children’s Research Institute, and Chief of the Division of Pediatric Sleep Medicine and the Sleep Medicine Fellowship Program, both of which were recognized as programs of distinction by the American Academy of Sleep Medicine. From 2009 till 2014, Dr. Gozal served as Chairman of the Department of Pediatrics and Physician-in-Chief of Comer Children’s Hospital at the University of Chicago. Dr Gozal’s research interests include projects such as gene and cellular regulation in hypoxia and sleep disruption, murine models of sleep disorders, and genomic and proteomic approaches to clinical and epidemiological aspects of sleep apnea in both adults and children. In addition, he has pioneered biomarker discovery and machine learning approaches for the diagnosis of sleep apnea across the lifespan. More recently, he has begun exploration of the role of the gut microbiome and circulating exosomes in sleep disorders and associated morbidities. He is the current Immediate Past President of the American Thoracic Society, was a member of the Board of Directors of the Sleep Research Society 2014-2016, is editor in chief of the Journal of Child Science, and an editor for the journals Sleep, ERJ, and Frontiers in Neurology. He has been the recipient of the ATS Amberson Lecture in 2002, and most recently was awarded the William C. Dement Academic Achievement Award by the American Academy of Sleep Medicine in 2013 and the 2016 Lifetime Achievement Award of the National Sleep Foundation. He has been ranked as the #1 sleep physician expert in the world since the inception of such rankings. His research work is supported by grants from the NIH, he has published over 600 peer-reviewed original articles carrying a H index of 100 and >40,000 citations, along with >135 book chapters and reviews, edited 3 books, presented more than 900 scientific abstracts, and has extensively lectured all over the world. By David Hatcher, DDS, M.Sc., M.R.C.D. Small airway dimensions may be a risk factor for obstructive sleep disordered breathing and upper airway resistance. The airway dimensions can be influenced by many factors including age, gender, jaw growth, TMJ anomalies, peri-pharyngeal fat deposits, tongue size and airway masses. The use of CBCT, spatially accurate 3d imaging, creates the opportunity to assess the airway dimensions and to identify factors that have contributed the diminution of airway size. A stratified diagnostic process and identification of the etiology of a small airway creates the opportunity to employ a therapy that targets the etiology. BIOGRAPHY: David C. Hatcher, D.D.S., M.Sc., M.R.C.D. (c) received his D.D.S. degree from the University of Washington. Subsequently he completed two years active duty in the U.S. Public Health Service and a one year general practice residency program at the University of Vermont Medical Center. Dr. Hatcher entered the graduate program in radiology at the University of Toronto and was granted a specialty degree in Oral and Maxillofacial Radiology in 1982 and a M.Sc. in 1983. His thesis topic dealt with radiology of temporomandibular disorders. Presently Dr. Hatcher is in private practice in Sacramento, California and has faculty appointments as Clinical Professor at the University of California San Francisco, University of California Los Angeles, University of California Davis and University of the Pacific. Sleep is a state of energy recovery that can be altered by many health conditions. Pain is an intruder in sleep and can contribute to un-refreshing sleep complaints. About half of chronic orofacial pain patients reports poor sleep quality, about 25% insomnia and sleep disordered breathing, and some sleep bruxism-tooth grinding. Sleep apnea and sleep bruxism can be associated to morning transient pain/headache. Understanding sleep physiology, role of sleep disorders, been able to perform early detection by screening and select best management strategies can contribute to prevent onset and deleterious effects of chronic orofacial pain. 2. Being able to improve our diagnosis and management planning skills. 3. Identify-screen for putative contribution of concomitant sleep or mood conditions. 5. Sleep bruxism is not always a disorder: continuum from normal oral behaviour to disorder? Gilles Lavigne is a dentist who completed research training on sleep disorders and pain. He currently holds a Canada Research Chair in Pain, Sleep and Trauma. He has served as Dean of the Faculty of Dental Medicine (Université Montréal) and was President of the Canadian Sleep Society and the Canadian Pain Society. Currently occupations include interim director of research at the CIUSS Nord Ile de Montreal and research in pain and sleep disorders and, in brain injury patients. Interest in cannabinoids for the treatment of medical conditions has grown considerably in the past decade. Research on the use of cannabinoid-based medication has expanded since the discovery of cannabinoid receptors and ligands in humans. Much attention has been focused on cannabinoids for the management of neuropathic pain conditions that are largely refractory to traditional treatments. However, cannabinoids are currently being investigated for treating post-traumatic stress disorder, epilepsy and obstructive sleep apnea among other conditions. · Cannabinoid-based medications: more than ‘medical marijuana’: classification of marijuana as a Schedule I drug, natural and synthetic compounds, delivery systems, conditions responsive to cannabinoids. · Endocannabinoids and the sleep-wake cycle. Differential impact of cannabinoid compounds on sleep and wakefulness. · Cannabis cessation and sleep issues. · Impact of cannabis on sleep in chronic pain patients. · Cannabis for treating PTSD and nightmares. · Current understanding of cannabinoids and obstructive sleep apnea. · Limitations of current research, controversies and considerations in prescribing marijuana. BIOGRAPHY: Darrell Boychuk earned an undergraduate science degree and DDS at the University of Alberta in Edmonton, Alberta, Canada. He returned to the University of Alberta to earn a master’s degree in medical science, orofacial pain and temporomandibular disorders. He was faculty at the University of California, San Francisco prior to taking a position with HealthPartners in St. Paul, Minnesota, where he joined Drs. Mariona Mulet, Gary Anderson and Brad Rindal in clinical practice related to TMD, orofacial pain and dental management of obstructive sleep apnea. In addition to his involvement in clinical research with the Practice-Based Research Network and HealthPartners Institute for Education and Research, Darrell has an ongoing interest in cannabinoids for managing chronic pain.